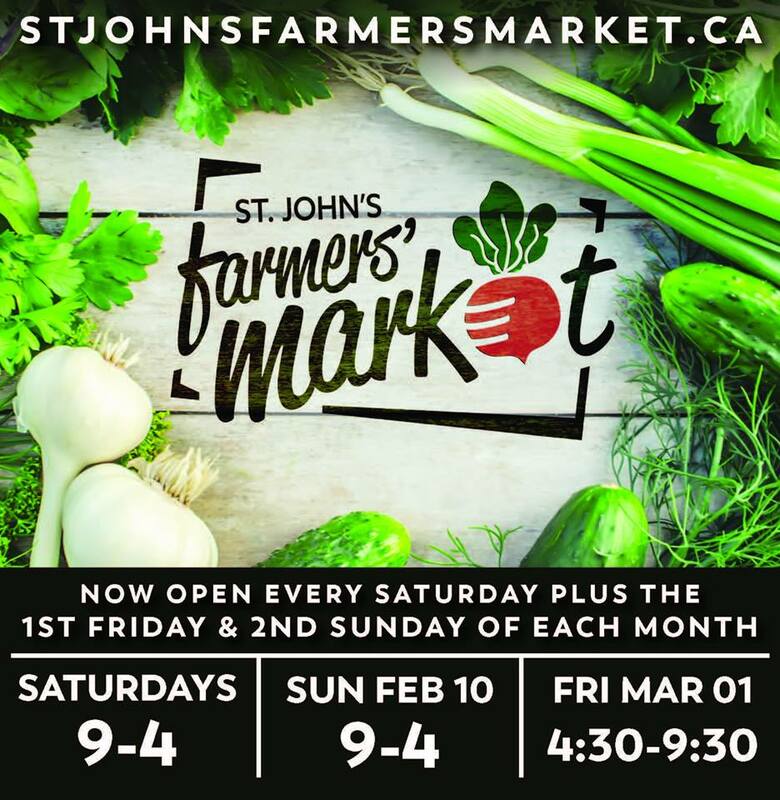 The St. John’s Farmers’ Market is adding two new markets this Winter. The two new markets will take place on the first Friday of each month, and the second Sunday of each month. The market taking place on the first Friday of every month will be an evening market, from 430 pm to 930 pm. The market taking place on the second Sunday of every month will be a full day market, from 9 am to 4 pm.